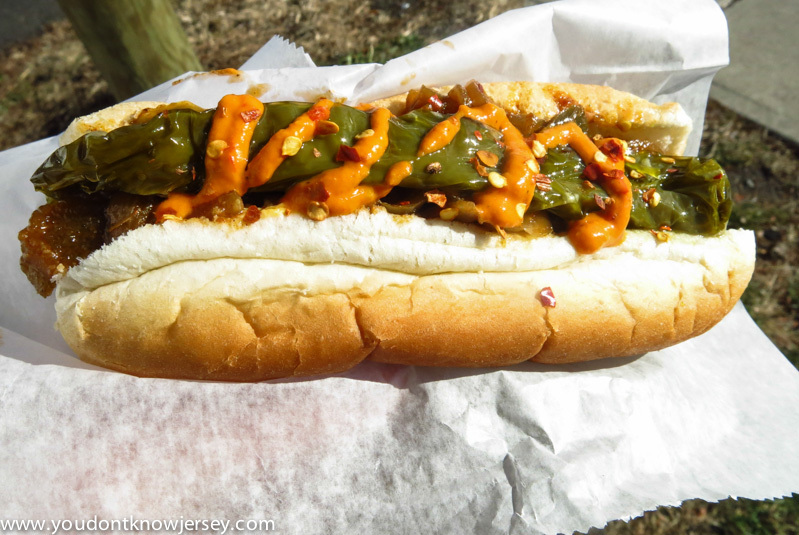 We normally keep our hot dog reviews saved up for the Annual Hot Dog Tour we do in August. 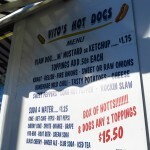 But, when we learned about Vito’s Hot Dogs in Harrison and saw the menu, we couldn’t stay away! 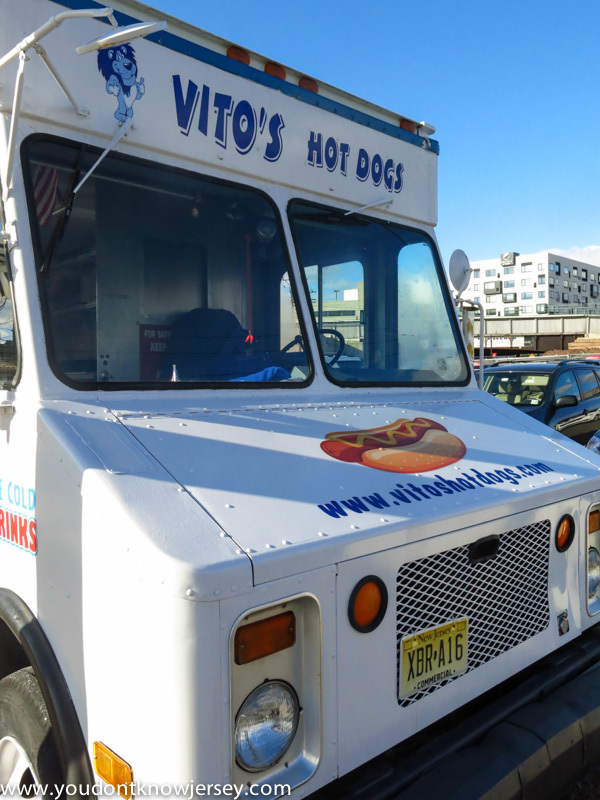 Nestled between Red Bulls Arena and the Harrison Path Station, Vito’s has a prime spot for people in need of a quick and delicious meal. 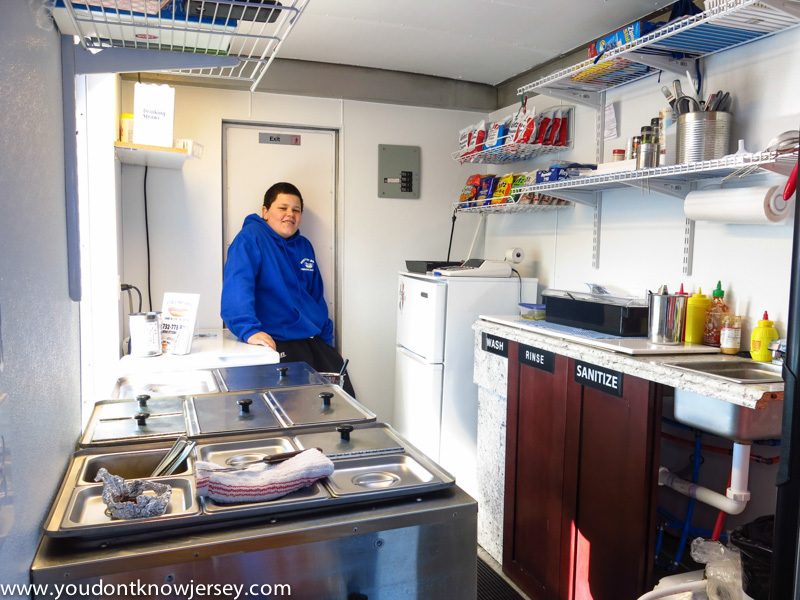 What brought us here initially was hearing that Vito makes all his toppings himself. 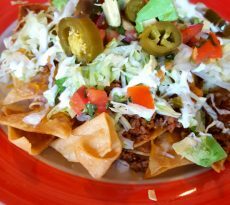 Homemade chili, potatoes, habanero sauce and relishes are one way to peak our interest! 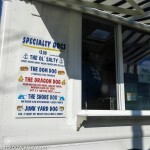 Hearing about all those spicy toppings made us order the Dragon Dog first. 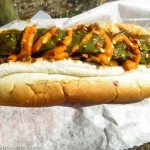 Asian mustard, fire onions, long hot peppers, habanero sauce and hot seeds are all piled up on a Sabrett dog and a great roll. 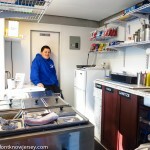 If you can eat three at the truck, you get them for free. Ed ate one and was ready for more but in the interest of saving his taste buds for other topping combinations, he quit at one Dragon Dog. My first dog was my favorite. I went with the potatoes and mild chili toppings and it was mind-blowingly good. The potatoes are chunky but almost like mashed potatoes with a nice amount of seasoning. The chili was fantastic, too. It’s a wet chili unlike the Plainfield-style chili which is drier and was pretty mildly spiced. If I hadn’t had the potatoes I might have tried the habanero sauce with it to kick up the heat. 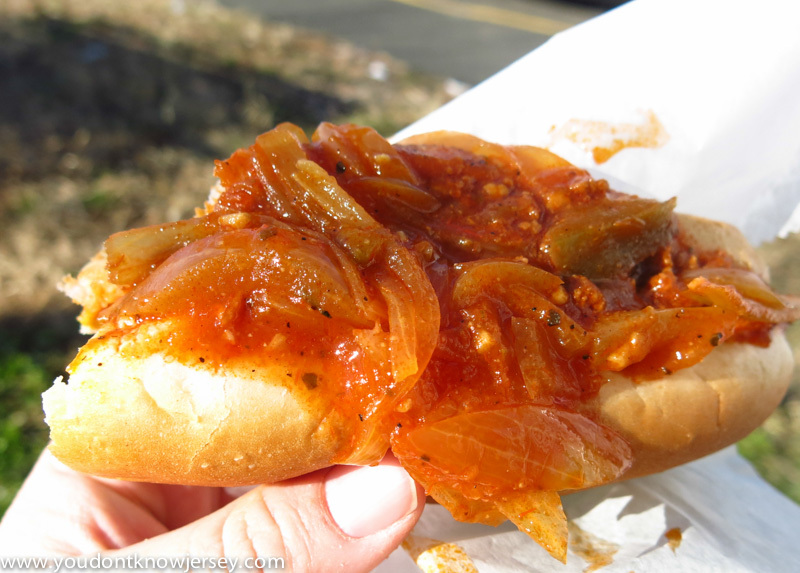 Or maybe the hot onions instead… there are a lot more combinations we want to go back and try. I had the Old Salty dog next. 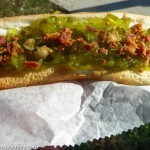 Real bacon crumbles and some of the best relish I’ve ever had. 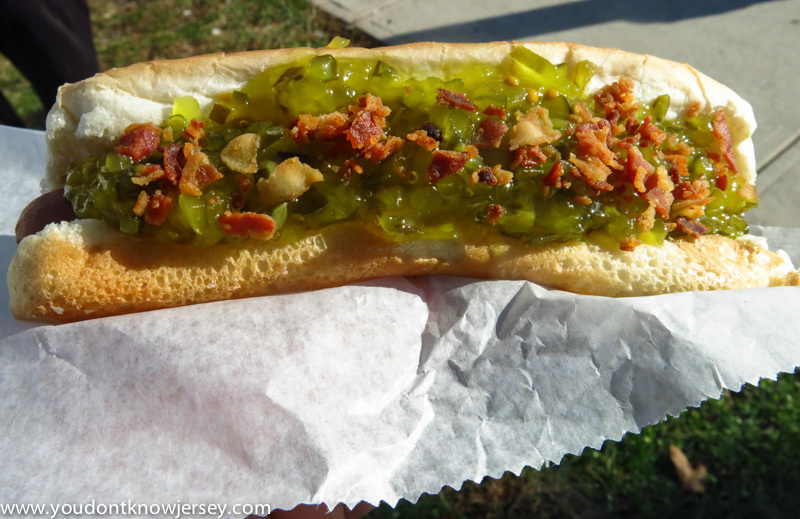 Sometimes regular relish is not much to write home about but this was tangy, bright and was really enhanced by the sea salt sprinkled on top. 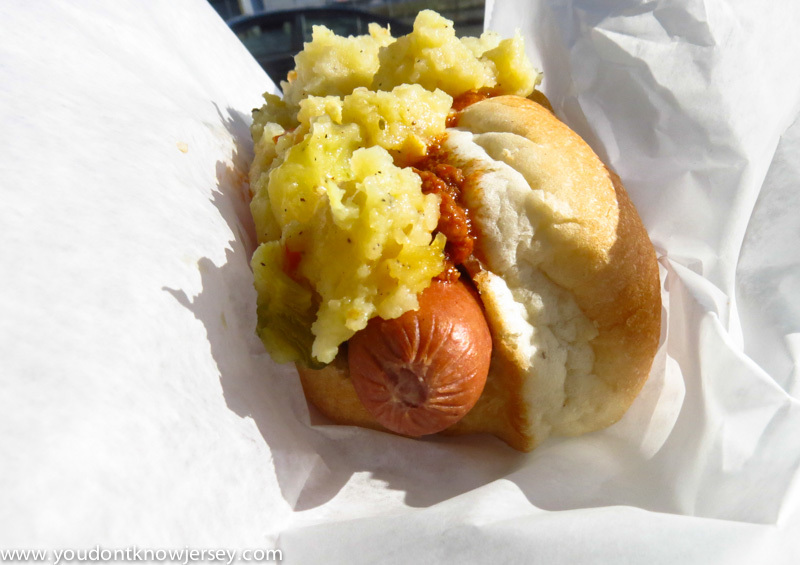 I got a better chance to taste the bun on this dog and it was very soft and had some more bread than most other buns out there. I really liked that even the bun selection seemed thoughtful. 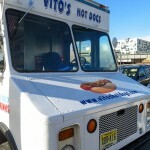 Vito told us that he’d always dreamed of having a hot dog truck and with every bite I felt like I could tell that he’d made each choice of topping, bun and dog deliberately. 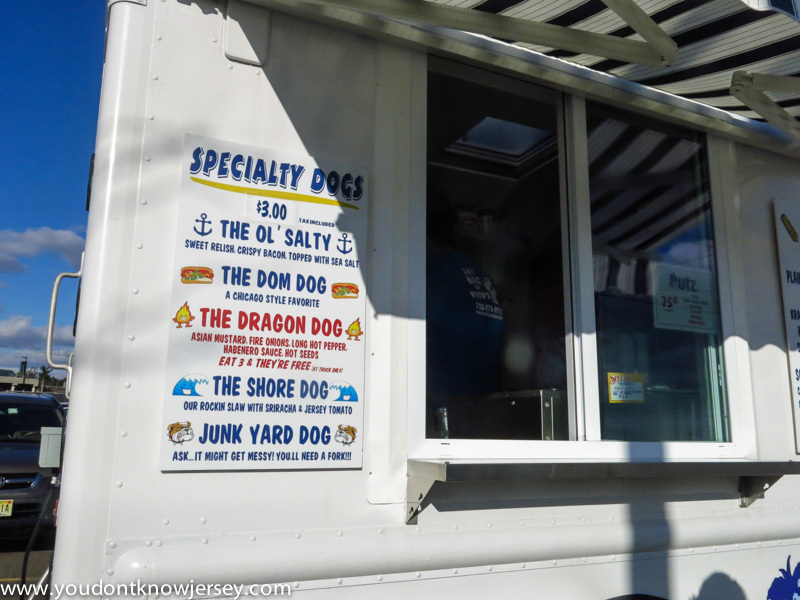 Ed’s second dog was the Shore Dog and it was just as delicious as everything else but this one in particular wins the Most Beautiful Hot Dog award. 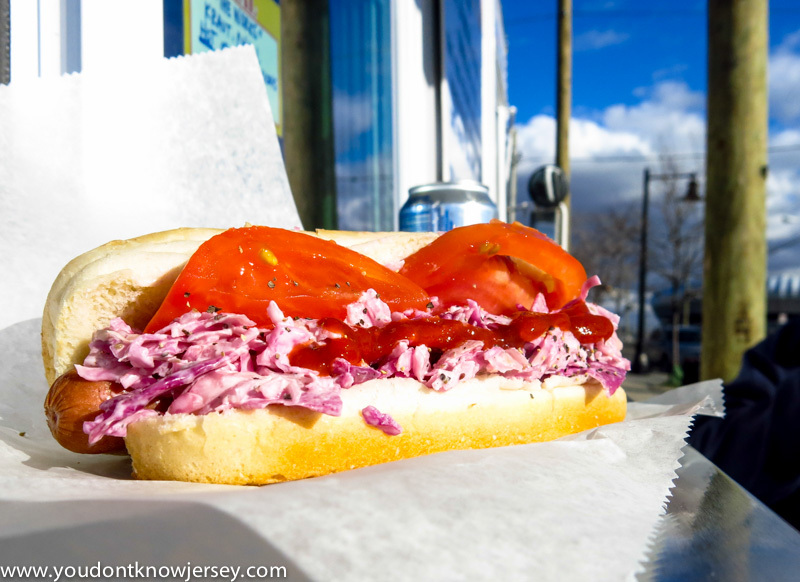 That pink/purple slaw with sriracha and Jersey tomatoes glowed in the sunlight like a beacon to the hungry people of Harrison. The crispy and crunchy slaw with ripe tomatoes and a shot of heat from the sriracha was as delicious as it was beautiful. We thought we were done there but there was so much more we wanted to try that we just couldn’t help ourselves. 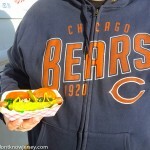 The Dom Dog was a Chicago classic that went nicely with our Bears hoodie. 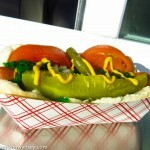 Everything was exactly as a Chicago dog should be, minus the poppy seed bun. 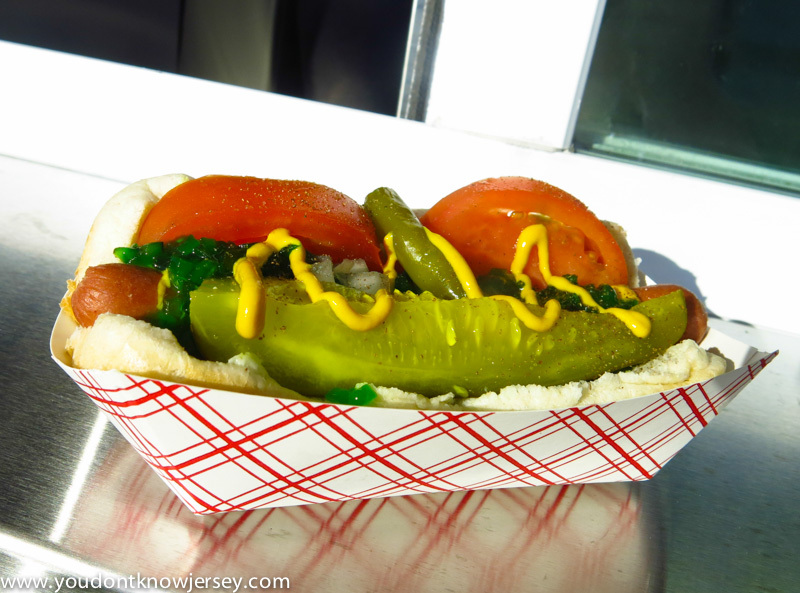 Sliced tomato, pickle spear, celery salt, hot peppers, mustard and some of the most vibrant green relish we’ve ever seen. 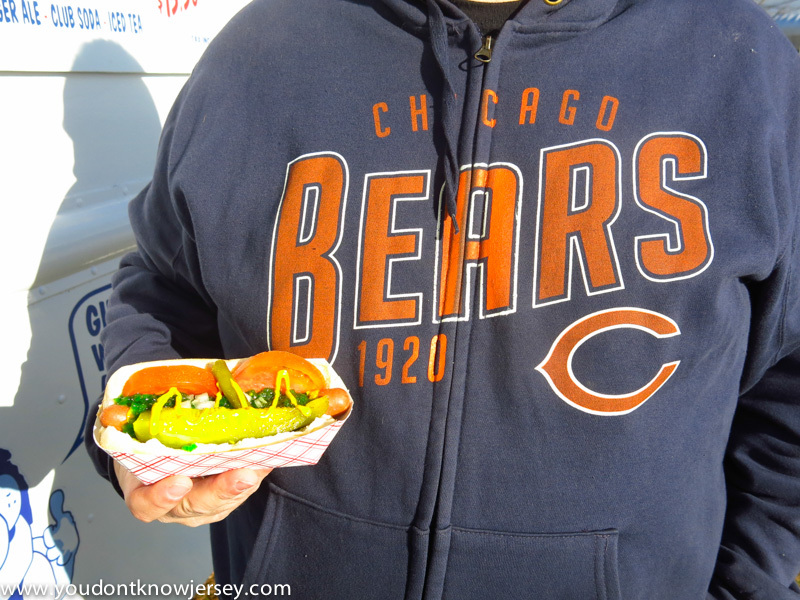 I don’t know why all these things make a Chicago dog but something about all those veggies on a hot dog just tastes like Chicago to me. I love finding a faithful rendition of a classic dog like this. 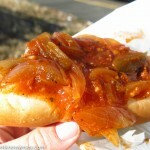 Finally, we had to try the sweet red onions with the chili. 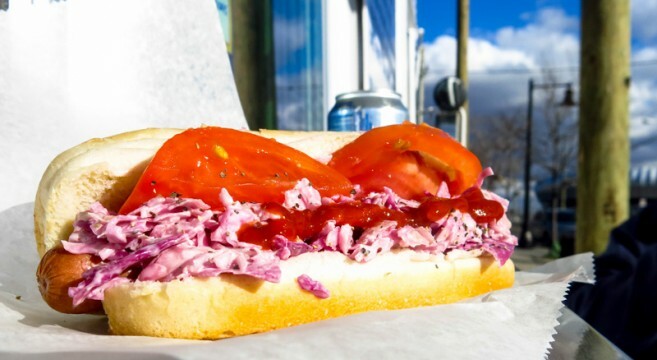 Those homemade red onions are amazing! They’re not all so cooked down that they lose all their texture. 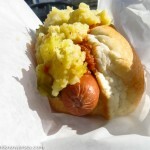 The nice bun soaked up all the juiciness and didn’t disintegrate before we reached the end of the dog. 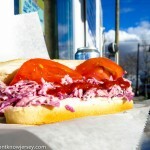 Vito’s simply makes the best toppings we’ve tried in a very long time! 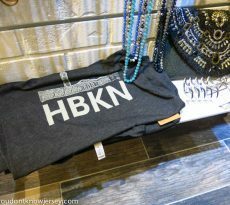 We can’t wait to try more on our next trip to Harrison. 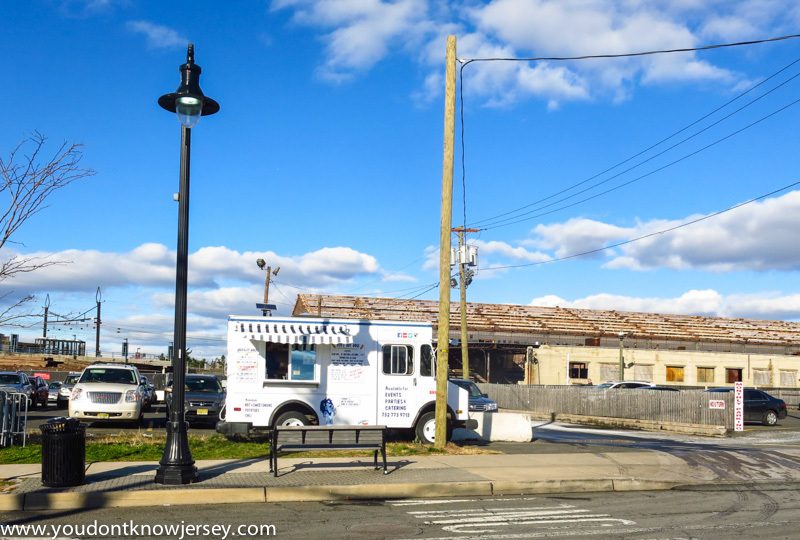 In fact, on our way out of Harrison after we visited Vito’s we were already planning what we’d try next. And, that was on a full stomach! 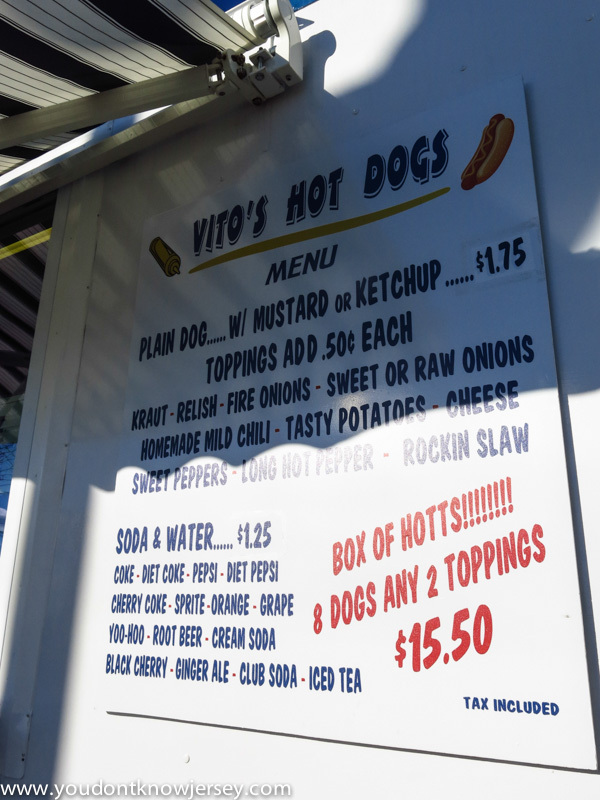 So, if you’re ever attending a Red Bulls game or getting on the Path at Harrison or are just in the mood for amazing hot dogs, check out Vito’s Hot Dogs. 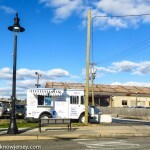 Corner of Guyon Drive and Rodgers Blvd., open Monday through Friday from 11:00am to 5:00pm. 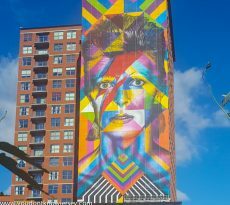 They also travel to festivals during the summer weekends so follow them on Twitter and Instagram to see where they are on a particular day. Click here to read more of our food articles.